New construction...now is the time to act for late spring, early summer 2019 closing. Spend the winter months putting your own personal finishing touches on one of these exquisite units in this new building at The Legends Condominiums . Open concept, first floor master suites, wooded as well as golf course views are among just a few of the desirable features of this well appointed building. The open floor plan is indicative of Yvon Cormier's award winning signature designs and finishes. Act now on this brand new building, don't wait...developer is building out the remaining units!!! 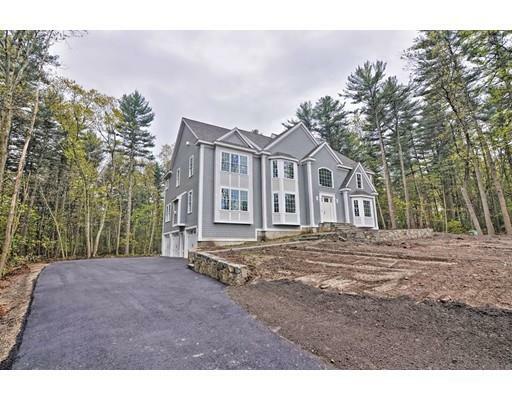 NEW CONSTRUCTION in south Andover's newest subdivision, Monarch Woods! 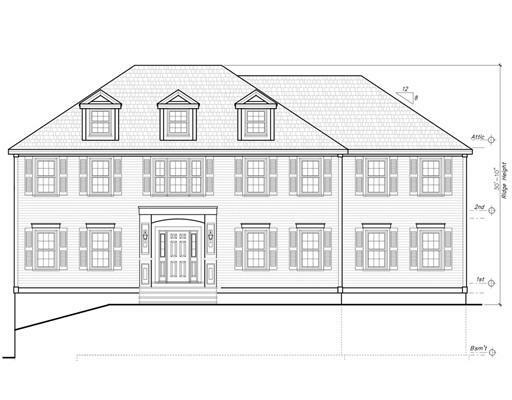 This classic New England colonial will feature almost 3,800 sq/ft of living area, hardwood throughout the 1st and 2nd floors, a walk-out lover level with finished mud room, a huge eat-in kitchen with commercial grade stainless appliances, large island, granite counters, and a beverage fridge, large formal living and dining rooms with abundant millwork, a study/home office, a 1/2 bath, and a walk-in pantry. Upstairs there are 4 bedrooms and 3 full baths, including a 'Jack & Jill' with double vanity and separate shower/WC, and an incredible master suite with walk-in tile shower, custom glass enclosure, two separate vanities, and a free-standing soaking tub. Additional amenities include a large composite deck off the kitchen, 3 zones of forced air heat and central AC, lawn irrigation, professional landscaping, and an oversized 3 car garage. Currently being built. Can be delivered by the end of October (2019). New construction...now is the time to act for late spring, early summer 2019 closing. Spend the winter months putting your own personal finishing touches on one of these exquisite units in this new building at The Legends Condominiums . Open concept, first floor master suites and sunny views are among just a few of the desirable features of this well appointed building. The open floor plan is indicative of Yvon Cormier's award winning signature designs and finishes. Act now on this brand new building, don't wait...developer is building out the remaining units!!! Luxury designed, Victorian home completely renovated and prominently situated on a set back, spacious lot in a highly desirable area. This home is gorgeously designed including a beautiful wraparound driveway, new siding, and intricate stonework. 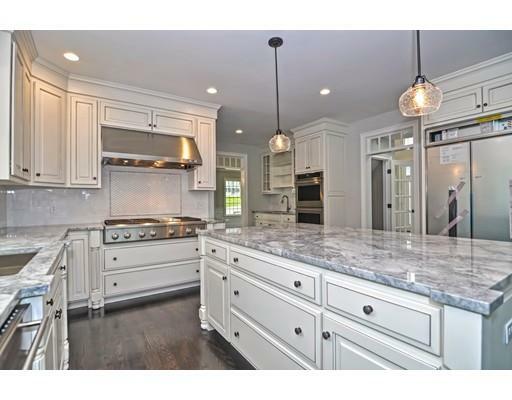 This elegant home features a stunning floor plan for today’s modern living with an exquisitely designed modern kitchen including, quartz countertops and state of the art appliances. The first floor also offers a cozy fireplace, oversized custom windows and a beautiful extensive window seat. The luxurious master bedroom suite filled with character includes a romantic Juliet balcony and a beautifully designed bathroom, completed with a vintage style tub. This new home has been completely modernized with all new electrical, plumbing, sprinkler, septic system, central air and heat. Additional bonus this home features an extensive garage with plenty of space for modern cars or storage. This home is boasted with character and elegance! 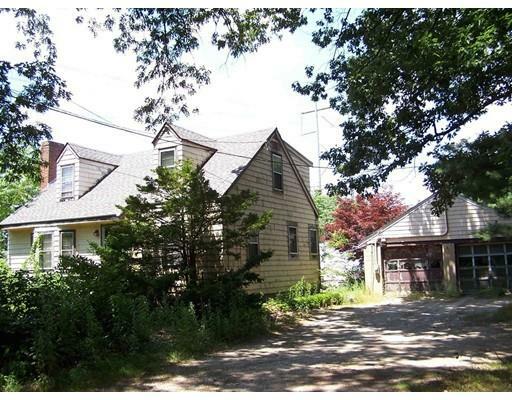 WELCOME to turn-key luxury, minutes to Andover Center and Phillips Academy. Spectacular Nantucket style home with flawless design. Spacious foyer draws you into amazing custom, high end kitchen featuring stainless appliances, 9' center island & more. 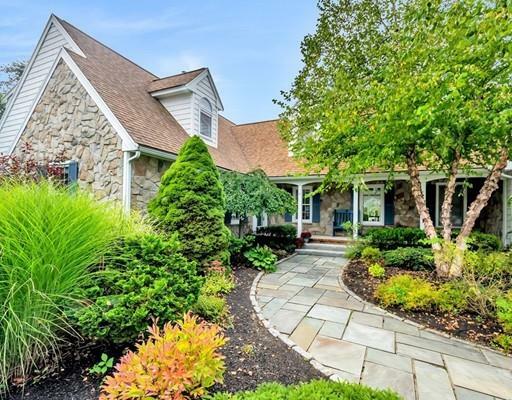 Open floor plan boasts an inviting dining rm w/adjacent library built in cabinets & fireplace; spacious family rm w/fireplace; roomy playroom and bright 4 season sun room completes 1st floor. Second floor features master en-suite w/gas fireplace, oversized tiled shower, soaking tub and radiant floor.. Three generous additional bedrooms, laundry room & cozy reading nook. Fully finished 3rd floor has "loft style' space, w/full bathroom and oversized closets - perfect space for so many uses! This home was totally rehabbed in 2012 including all new systems. Professionally landscaped w/garden beds, full irrigation and landscape lighting. Backyard grotto w/blue stone & paver patio, outdoor fireplace and custom shed. BE DAZZLED!